To usher in the Year of the Pig with an auspicious 10-Course scrumptious feast symbolizing prosperity, fortune and a perfect start for the new year! 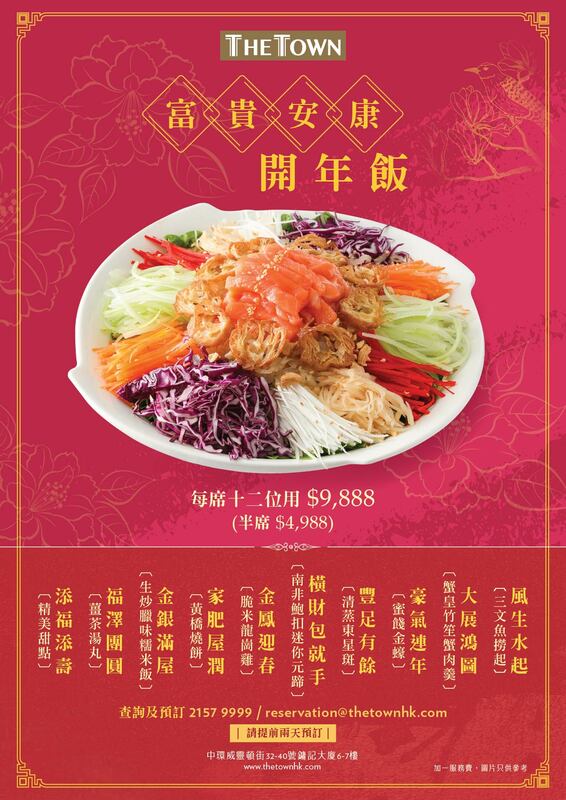 Our Chinese New Year Dinner Set features the ‘Lo Hei’ Prosperity Toss, which consists of colorful, finely grated ingredients topped with Salmon Sashimi along with an array of condiments and sauces. Toss the ingredients together with your family and friends, and wish each other abundance of luck in the New Year! The dinner is meticulously prepared by our Head of Chinese Cuisine, Leung Kwok Piu, with a selection of top-notch ingredients. Chef Leung has over 30 years of experiences in Cantonese cuisine and was Chief Chef of several 5 star hotels and private clubs prior to joining us.